The changelog over two years is extensive, so let's stick to the broad brushstroke improvements, though note that some do require newer APIs than Windows 10 Mobile supports, and so are only available for 'Desktop', so laptops, hybrids, and so on (as per the Fluent Design screenshot above). The Windows 10 Mobile code base is still getting tweaks, but only where things can be backported successfully. With the sad withdrawal of Enpass from the Windows 10 UWP space, OneLocker UWP is now the only serious contender for managing your secret data under Windows 10 Mobile. 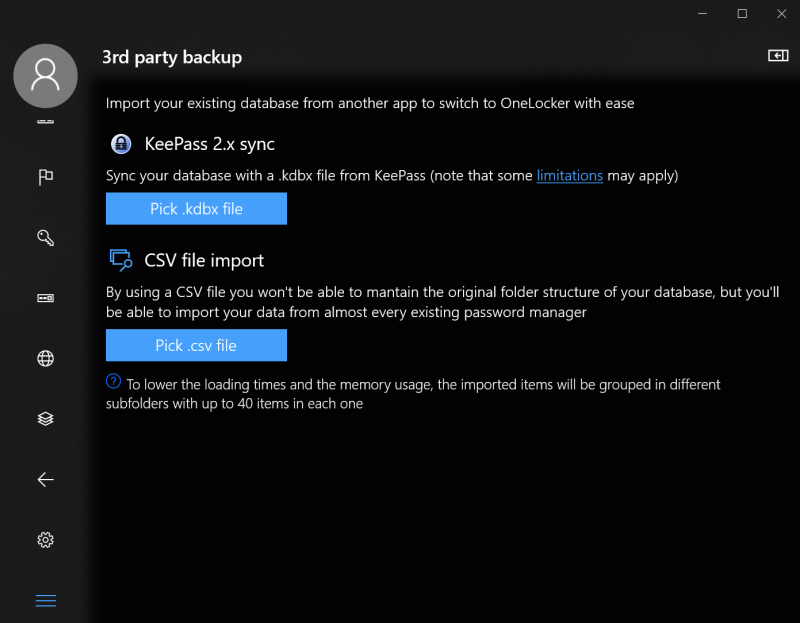 I was particularly excited by the Keepass 2.x integration, at least for the OneLocker UWP builds for the Desktop. 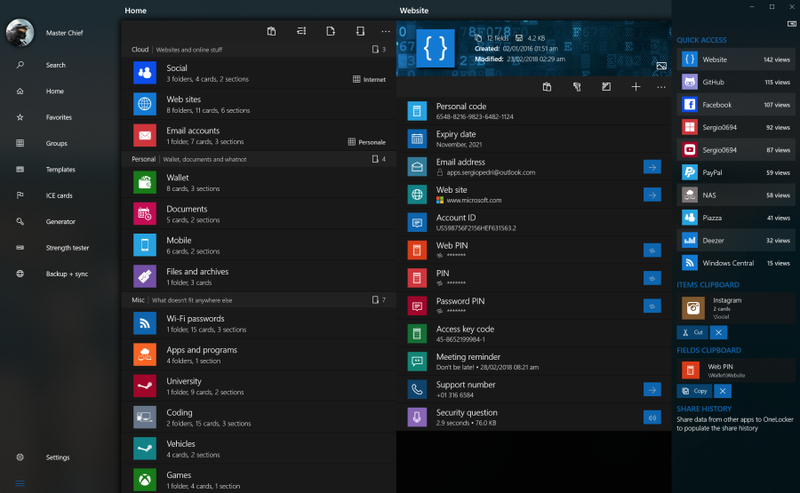 My idea was that I could open up my longstanding and huge (1000s of entries) Keepass 2.x file on my Surface Go and then sync it via a native OneLocker UWP database through to my Windows 10 Mobile phones. 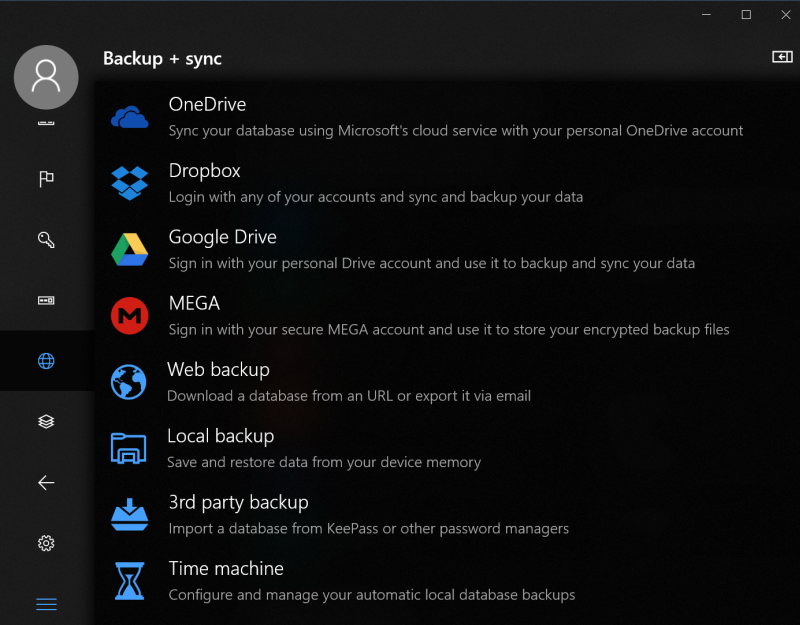 It almost worked too, with OneLocker UWP not liking something about my particular Keepass file - I tried some dummy (much smaller) files and they worked fine, so the jury's still out on all this. And data points from others very welcome - the OneLocker developer has tested with other Keepass files with success. OneLocker is a complete, powerful and feature-packed Universal password manager for Windows 10. With multiple field types, Windows Hello, background sync, customizable live tile and jump list, a QR codes scanner and much more for all the flexibility you might need. Do you happen to have lots of passwords for all your accounts and you always end up writing them down somewhere not to forget them? This app is the perfect solution for your problem: you'll no longer have an hard time trying to remember everything as OneLocker will keep all your data safe and available wherever you are. Although I get the consumer recognition of 'password manager', this is much more, really. Just as with the various KeePass 'clients', we're talking a full encrypted database, which can be used for any confidential information in almost any textual format. So if Enpass let you down and if you're frustrated by KeePass clients being a bit half-baked under Windows, then give OneLocker UWP a try in the Store here.